Simply Silhouette: Milk Jug Milk Bones!Good Doggie! 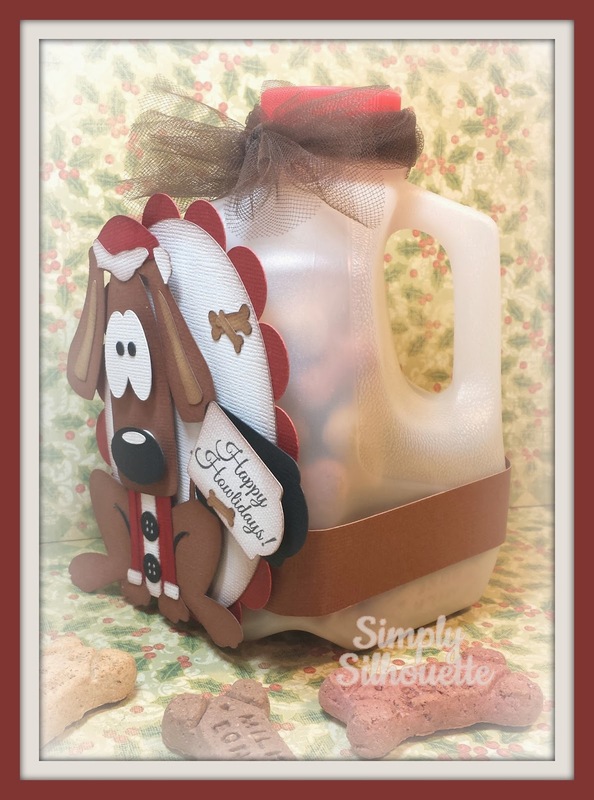 Isn't this the cutest little Milk Jug??? dressed it up for a Merry Doggie Christmas! 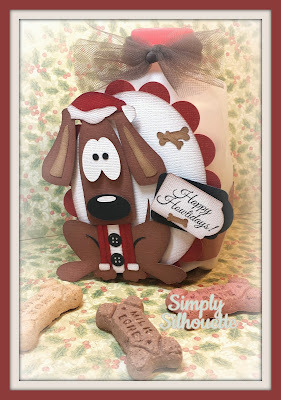 OH just dog gone cute ... love it and I bet your fur~babies are gonna love it too! Julie, this is too cute. Love that adorable puppy. Someone is going to be very happy with this little gift of goodness. Oh my goodness this is cute!! My mom would go nuts over this, her dog is her baby now! I don't know about my pup, but I sure think she would love this treat container. These milk jugs are way too cute. I need to check them out! Oh, what a wonderful gift! Perfect for the puppy Santa is bring me...right Santa?